Now let’s get one thing straight; when it comes to muffins, I hardly discriminate. I like ’em all, from dense and cakey to light and delicate, most every muffin has its time and place in my world. But, if you’re going to press me for my favorite weekday version, it is, without a doubt, the humble quinoa muffin. Why, you ask. Why some dowdy quinoa muffin when I could be biting into a fluffy blueberry-buttermilk beauty? It’s like choosing some mousey brunette over a blonde bombshell pageant queen. 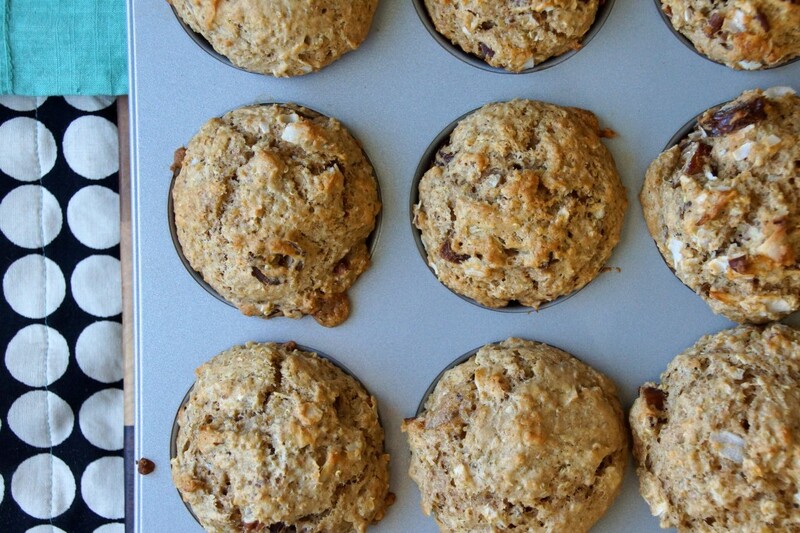 Because quinoa muffins have got substance, integrity, loyalty. 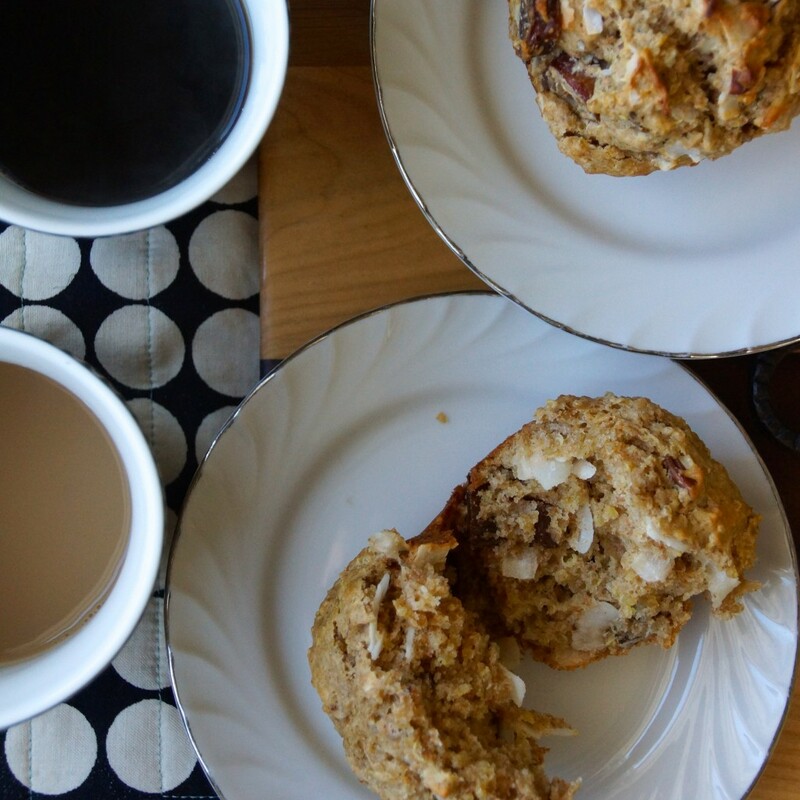 They’ll coax you out of bed with the promise of deep, nutty-grainy deliciousness and fuel you all through the first half of the day. They’re not going to merely flirt with you in the morning only to flake out on you halfway to lunch. If you’ve been coming around here since the beginning, you probably already know about my affection for quinoa muffins. I’ve been known to hide squash and apples in them. 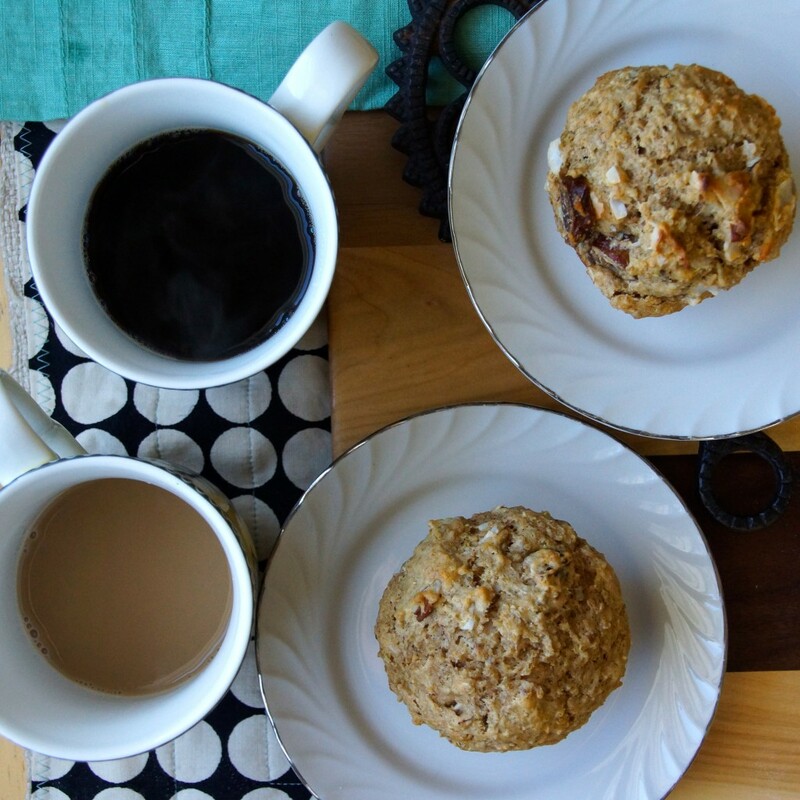 This time around, I’m thinking quinoa muffin meets granola with big chunks of dates, copious coconut curls, and plenty of pecans. Put a small pan of quinoa on the stove while you prep everything else. Turn the oven on, grease or line your muffin tin, melt butter, measure out dry ingredients. 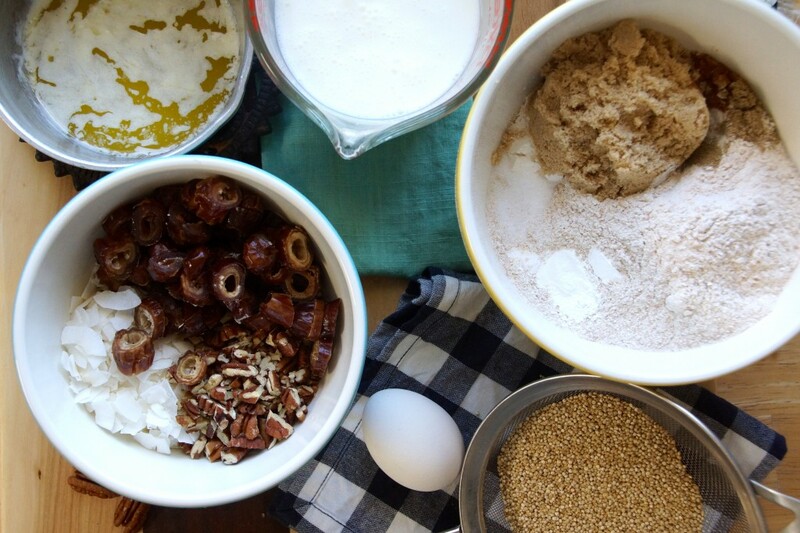 Compile your arsenal of add-ins: dates, coconut flakes, and pecans. Mix wet with wet, dry with dry. Bring them together and stir in the tasty extras. 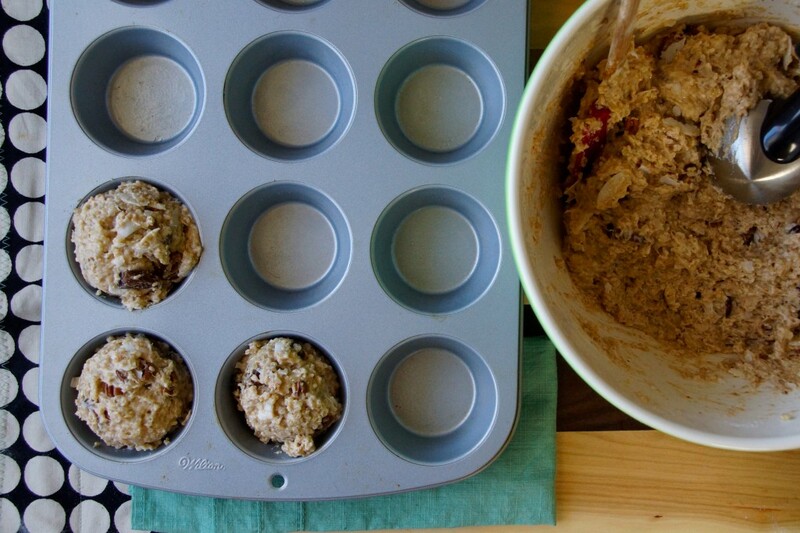 Scoop into muffin cups and bake. …and into my life. For the long haul. These sturdy muffins keep well for several days. They are wonderful as is or toasted and spread with peanut butter for an even more substantial start to your morning. Preheat oven to 375°. Grease or line a muffin tin. Cook quinoa, if you haven't already, and reserve. In a large bowl, mix together both flours, baking soda and powder, salt, spices, and brown sugar. In a medium bowl, whisk together buttermilk, melted butter, egg, and vanilla. In a third bowl, combine dates, coconut, and pecans. 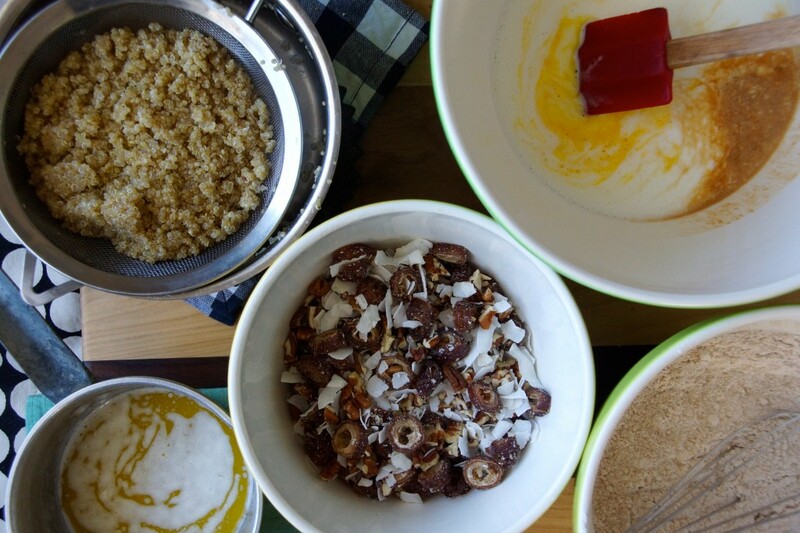 Add wet ingredients to dry and quickly mix until just combined. Fold in quinoa and the date mixture. Divide batter between 12 standard-size muffin cups and bake until golden and a tester comes out clean, about 25 minutes.